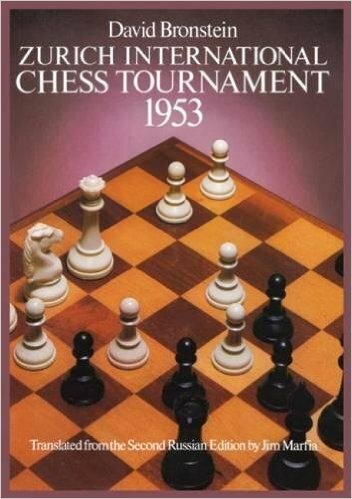 Chessmaster, popular series of electronic games for playing chess against a computer; it was originally released in 1986 by the Software Toolworks, which was acquired by the Learning Company. 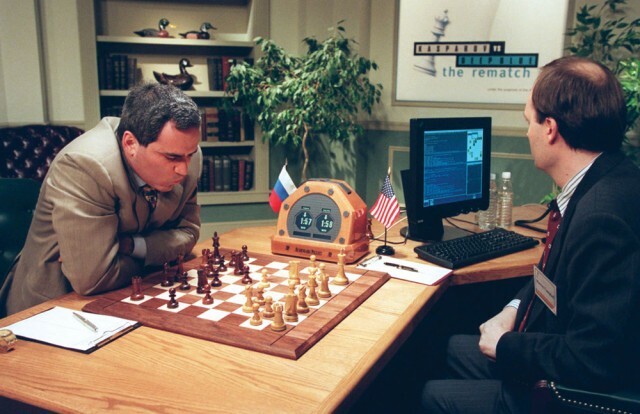 Chessmaster featured extremely competitive artificial intelligence engines—with later versions named “the King”—that challenged all but the most skilled of players and helped bring the game to virtually every make of computer and gaming system over the years. 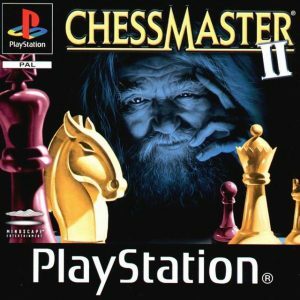 Featuring 2-D and 3-D game play, later versions applied technology from other popular chess games to make Chessmaster a universal favourite. Early versions of Chessmaster were released for nearly every type of personal computer, including Amiga, Apple II, Atari 8-bit, Atari ST, ZX Spectrum, Commodore 64, Macintosh, and DOS-based machines. Chessmaster 4000 saw the first incarnation of the King, which allowed players to create chess “personalities.” These personalities, which a player would assign to his opponent, could be adjusted down to the smallest detail. By placing certain emphasis on a particular aspect of the game, such as king protection or aggressiveness, players were able to compete in a variety of game types and improve their own personal chess abilities. Personalities could be adjusted to mirror actual players, such as the former world chess champions Bobby Fischer or Mikhail Botvinnik. Junior is a computer chess program written by the Israeli programmers Amir Ban and Shay Bushinsky. Grandmaster Boris Alterman assisted, in particular with the opening book. Junior can take advantage of multiple processors, taking the name Deep Junior when competing this way in tournaments. 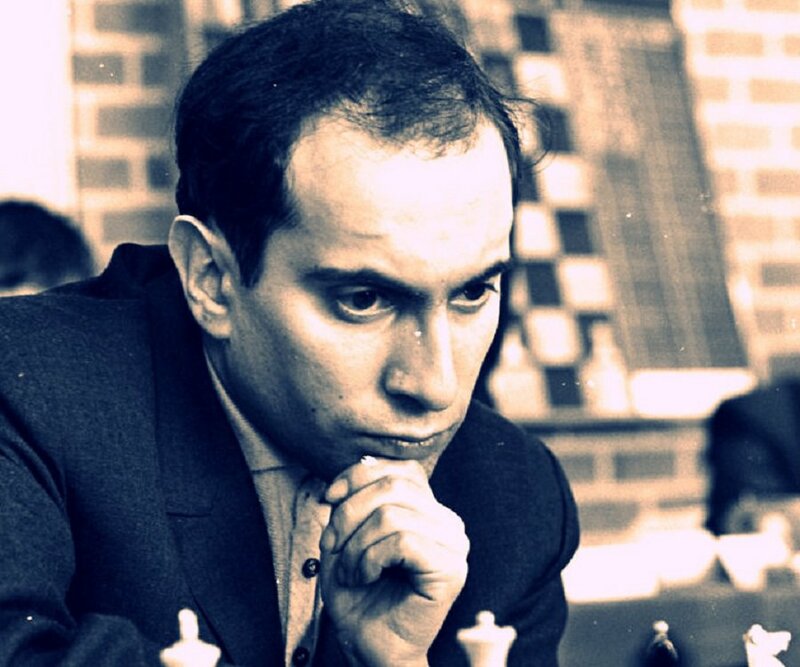 In 2003 Deep Junior played a six-game match against Garry Kasparov, which resulted in a 3–3 tie. It won a 2006 rapid game against Teimour Radjabov. In June 2007, Deep Junior won the “ultimate computer chess challenge” organized by FIDE, defeating Deep Fritz 4–2. These programs opted out of the World Computer Chess Championship, which was held at the same time and won by Rybka with a score of 10/11. 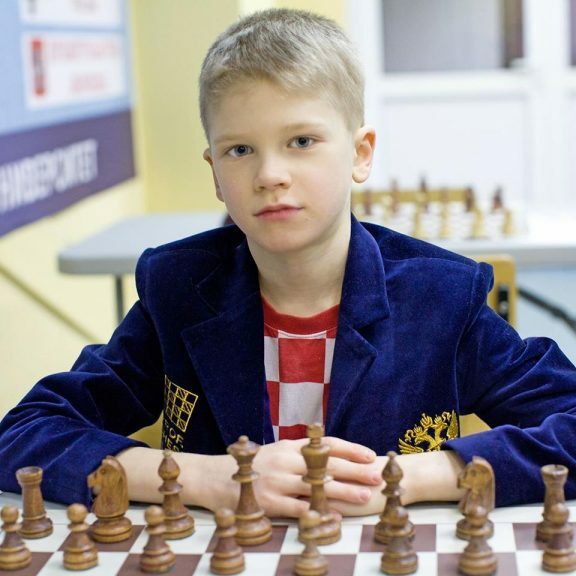 Junior won the World Microcomputer Chess Championship in 1997 and 2001 and the World Computer Chess Championship in 2002, 2004, 2006, 2009, 2011 and 2013; both organized by the International Computer Games Association. The name Junior is perhaps deceptive. 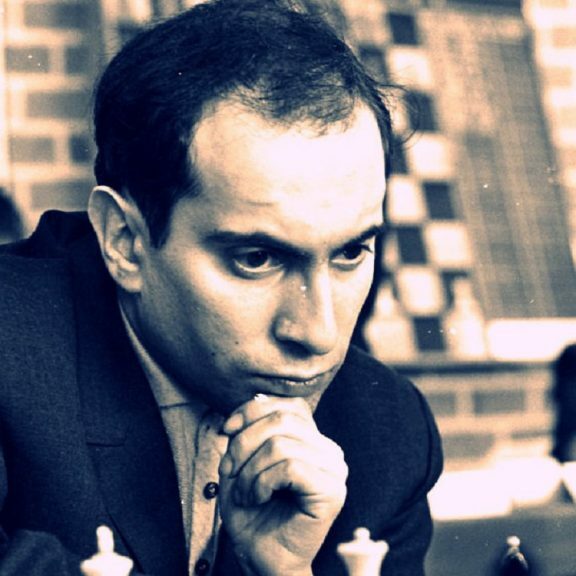 Playing against Junior is not necessarily something for children, as Garry Kasparov discovered in a match in New York. He was held to a 3-3 draw by the Israeli program. Junior played in its typically dynamic style, greatly surprising the former World Champion with now-famous bishop sacrifice on h2 that forced him to concede a draw. You can look forward to a world class grandmaster when you install the new program on your computer. Multiple World Championship winning computer chess engine, a 3 time World Chess Software Champion and the chess program generally used by former World Chess Champion Vishy Anand. HIARCS is renowned for its high quality, human like chess play, realistic weaker levels and unprecedented chess performances from handheld devices to multi-core desktop computers. Rybka is a computer chess engine designed by International Master Vasik Rajlich. Around 2011 Rybka was one of the top-rated engines on chess engine rating lists and has won many computer chess tournaments. After Rybka won four consecutive World Computer Chess Championships from 2007 to 2010, it was stripped of these titles after the International Computer Games Association concluded in June 2011 that Rybka was plagiarized from both the Crafty and the Fruit chess engines and so failed to meet their originality requirements. The ICGA proceedings against Rybka were subsequently upheld by the FIDE Ethics Commission, saying “the ICGA has not violated the FIDE Code of Ethics, nor any other FIDE rule or general principle of law”. However, the same FIDE Ethics Commission ruled that banning Rajlich for life failed to have a clear statutory basis and sufficient procedural guarantees, and so they sanctioned ICGA with a warning. Rajlich has now agreed to underpin the Fritz brand of ChessBase, merging Rybka to produce Fritz 15 released in late 2015. Fritz is a German chess program developed by Vasik Rajlich and published by ChessBase. The latest version of the consumer product is Fritz 15, now based on Rybka. This version now supports 64-bit hardware and multiprocessing by default. Shredder is a commercial chess program and chess engine developed in Germany by Stefan Meyer-Kahlen in 1993. Shredder won the World Microcomputer Chess Championship in 1996 and 2000, the World Computer Chess Championship in 1999 and 2003, the World Computer Speed Chess Championship in 2002, 2003, 2004, 2005, and 2007, and the World Chess Software Championship in 2010. 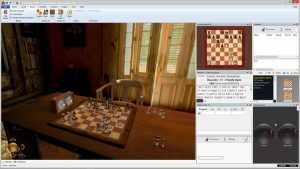 Houdini is a UCI chess engine developed by Belgian programmer Robert Houdart. It is influenced by open source engines IPPOLIT/RobboLito, Stockfish, and Crafty. Earlier versions are free for non-commercial use (up to version 1.5a), but later versions (2.0 and onwards) are commercial. As of January 2017, Houdini 5 is the second top-rated chess engine on major chess engines rating lists between Stockfish and Komodo. Chess commentator and video annotator CM Tryfon Gavriel compared Houdini’s playing style to that of the Romantic Era of chess, where an attacking, sacrificial style was predominant. 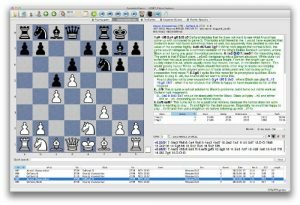 Stockfish is a free and open source UCI chess engine, available for various desktop and mobile platforms. It is developed by Marco Costalba, Joona Kiiski, Gary Linscott and Tord Romstad, with many contributions from a community of open source developers.Stockfish is consistently ranked first or near the top of most chess engine rating lists and is the strongest open source chess engine in the world. It won the unofficial world computer chess championships in 2014, season 6, and 2016 season 9. It was a runner-up in 2013 season 5, 2014 season 7, and 2015 season 8. Stockfish is derived from Glaurung, an open source engine by Romstad. Stockfish is much stronger than the best human chess Grandmasters. In comparison, the curent world chess champion Magnus Carlsen has rating 2838. Which is the strongest chess engine?